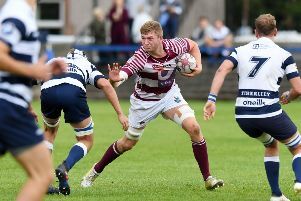 Former Edinburgh Rugby scrum-half Mike Blair has begun a journey that could take him to the top of the coaching ladder. Blair, 33, now in the twilight of a playing career with Newcastle Falcons after retiring from Test rugby with 85 Scotland caps, is cutting his teeth with Durham and Northumberland Division Two leaders Ponteland. Blair says of post-playing ambitions: “I started (coaching) in August, the initial reason being I am doing my level-three coaching qualification.